Europe's largest Fluidised Bed sub contractor and was one of the first Heat Treaters to achieve BS ISO 9001 standard in 2003. The flexibility of the equipment and its accurate temperature control enables Beta to offer the full range of processes with optimum quality. 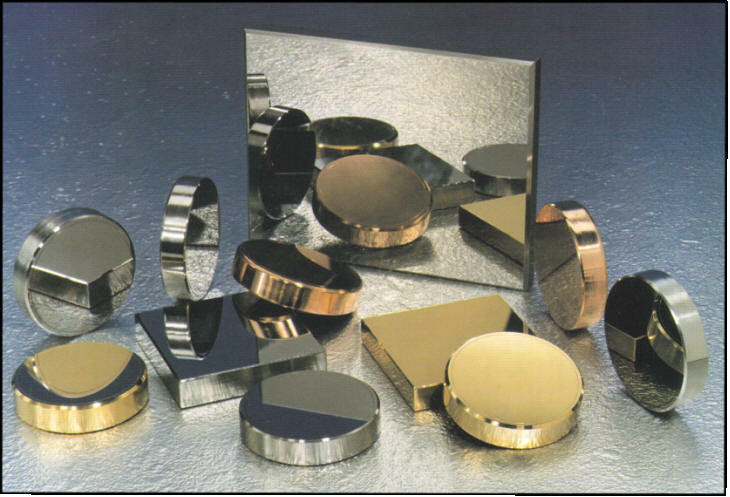 It is probably the cheapest form of tool steel heat treatment due to the longevity and quality of equipment and low energy cost per kilogram. Quality comes first at Beta. One example of the high level of temperature uniformity is above. 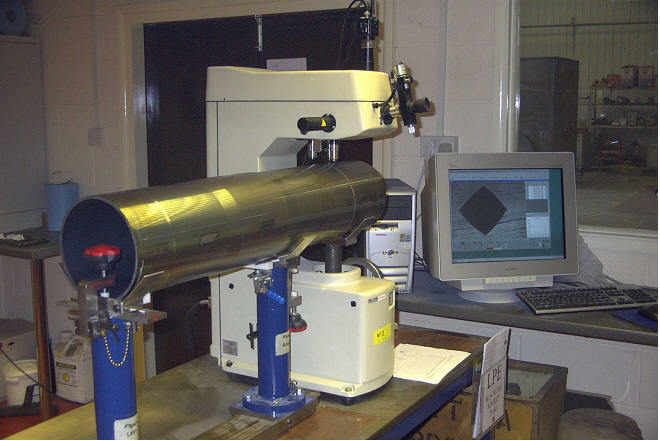 This is a rocket tube processes in a fluid bed undergoing semi automatic Vickers hardness inspection. Each rocket tube undergoes a 4 axis 20 hardness inspection test. After final machines each tube is subjected to a further 20 harness test, making in total 40 per. If you’ve ever wondered why hardness test blocks are so accurate – its because a large percentage are heat treated in a fluid bed tube. Over 1000 rocket tubes have been processed todate will NIL rejects. 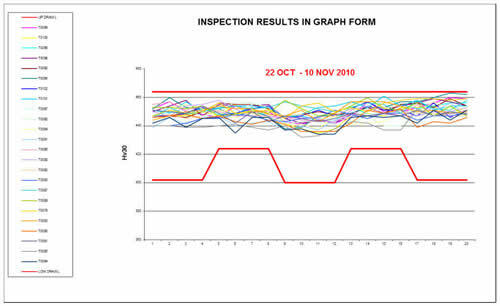 The graph below is an inspection record of 26 tubes. 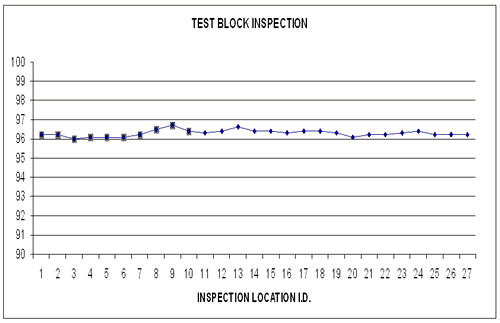 A typical hardness plot of a test block after process in a fluid bed furnace.